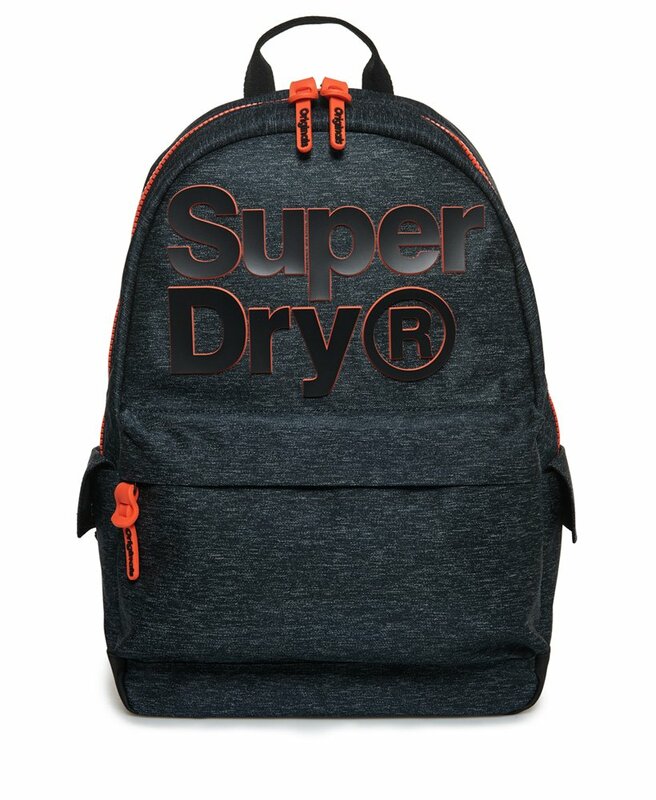 Superdry men’s two tone logo Montana rucksack. A classically styled grab top rucksack featuring a zip fastened main compartment, a two-tone colour high-build Superdry logo on the front and a padded back. The two tone logo Montana rucksack also features adjustable straps, a smaller zip fastened front compartment and twin popper fastened side pockets. The rucksack is finished with an all-over Superdry print on the back and a rubber Superdry Outdoor logo badge on one of the straps.